bsoco: How does Altays fit into the world of HR today? Jean-Christophe Cicile: Altays provides The digital suite for HR. We team up with our clients to deliver solutions. In the world of HR going more and more digital, Altays is a leading and innovative software vendor delivering a comprehensive suite covering all functional aspects required by HR organisations and processes. Our key values are articulated around quality, communication and innovation. bsoco: What are the main features of your software? What do you guarantee to your customers? Jean-Christophe Cicile: ALTAYS Suite enables efficient and seamless management of recruiting and internal mobility processes (job offers and applications made easy, publication on multiple job boards, tracking of interns, corporate brand promotion...) and complementary solutions (mobile app, Job Fait management software). We help our customers to hire the best candidates using the most powerful tools while lowering significantly the recruiting cost. ALTAYS Suite also enables efficient talent management through annual and professional appraisals, talent review, compensation processes and more. We help our customers to better manage, improve skills, motivate and retain employees. Furthermore, ALTAYS Suite also provides a unique solution for HR document management, a unique combination of portal and secured repository for HR departments and employees! Above all, Altays delivers easy-to-use solutions to secure fast adoption together with advanced analytics and reporting capabilities to facilitate decision-making and accelerate processes. Altays brings a team of experts in solution rollout but also in HR processes to make sure the solution we deliver actually reflects your processes. bsoco: Are there any traps that need to be avoided when starting a HR project? 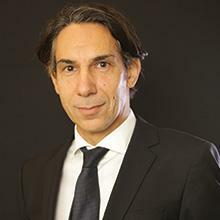 Jean-Christophe Cicile: As part of your selection process, you will primarily focus, for good reasons, on functional aspects and acquisition cost. - An HR software solution must be easy-to-use and intuitive. This means an easy rollout; new users can get up to speed extremely quickly. Recurring training sessions are not required. - You receive expert advice throughout your project and set-up. Make sure you are dealing with experts in software but also in HR processes, that they master the industry best practices. They will deliver a solution that reflects and optimizes your processes. - The solution you consider will be powerful enough to process huge flows of data but will be flexible enough to manage to optimize your corporate image. - The software vendor is committed to delivering complementary solutions to support advanced trends (mobility, accessibility, responsiveness, etc.) through companion apps and/or partnerships allowing for the delivery of state-of-the-art solutions. - The chosen recruiting solution is a component natively integrated into a comprehensive HR software suite to facilitate incremental steps but also process mutualisation. Altays is an independent software vendor driven by innovation and focused on digital transformation of HR organisations. Altays leverages years of experience, commitment and engagement with major players. Altays digital suite for HR, comprehensive yet modular, covers all functional areas and processes required. Above all, it relies on two fundamental pillars: unprecedented ease-of-use in this space and unmatched quality of service. Drive for innovation leads Altays to deliver strong added value and intuitive solutions covering the following areas: Recruiting & Mobility, Performance & Talent Management, Compensation, HR management system. These modules are articulated around a consistent, flexible, robust suite resulting into significant simplification and optimisation for HR organisations. Altays, founded in 1998, is an independent self-funded player and stays focused. In 2016, the company was proud to launch its latest modular digital suite for HR, thus accelerating its growth through rapid adoption. To this date, Altays boasts over 400 active clients encompassing large accounts such as EDF, SNCF, LVMH, ENEDIS, Crédit Agricole as well as numerous medium-size customers.